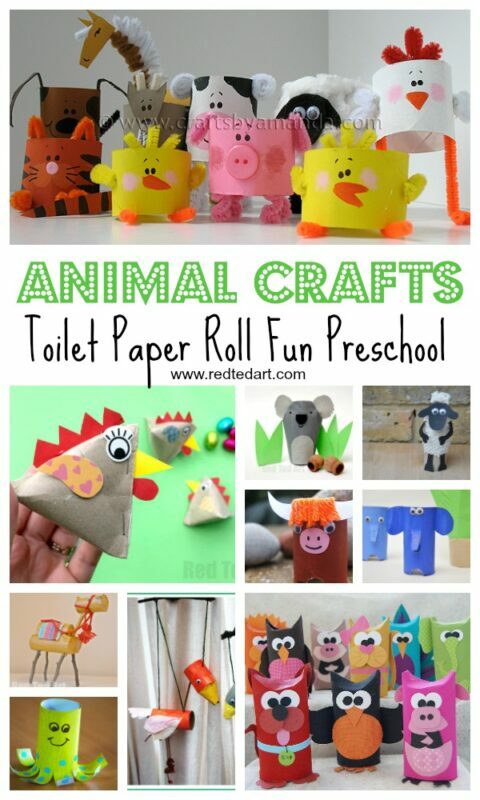 I recently published our hugely popular Toilet Paper Roll Animal Crafts “set”…. 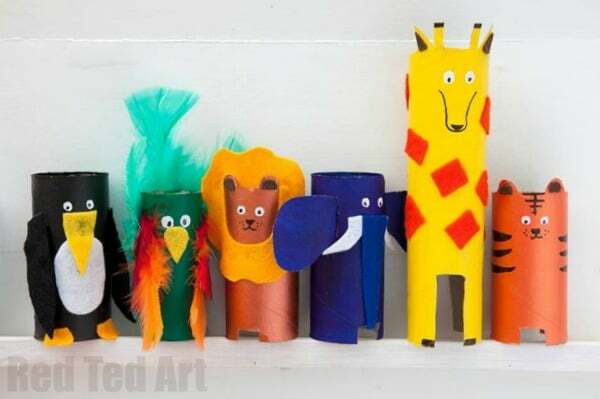 and as I was grouping all the animals in genres, such as Toilet Paper Roll Farm Animals or Zoo Animals.. or Toilet Paper Roll Animal Puppets, I thought “hey.. we need to turn these into an alphabet round up”. Perfect for anyone looking for crafts for each letter of the alphabet! 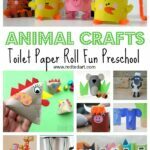 So for those of you looking for Animal ABC Crafts for Preschoolers.. crafts to help support learning and letter recognition at Preschool, Kindergarden, Nursery or Foundation.. 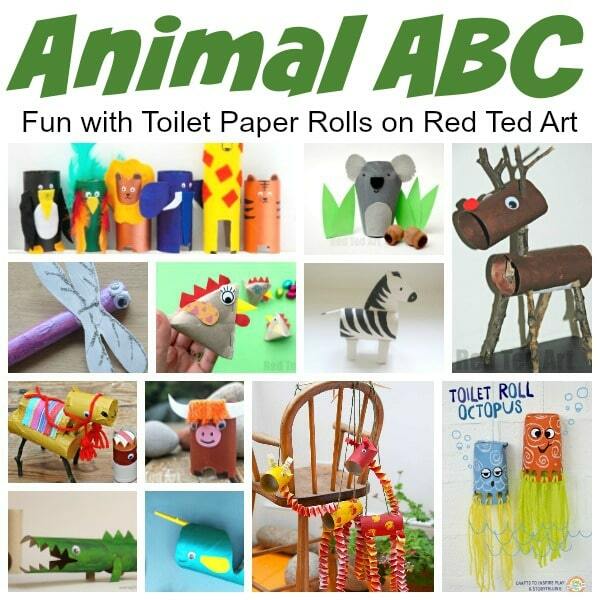 I think you are in for a real treat… here we go, our Animal ABC Crafts from Toilet Paper Rolls! 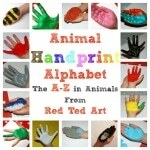 Years ago, we also created a complete Handprint Animal ABC that you may enjoy too! A is for ALLIGATOR oh a fantasticly fun alligator toilet paper roll craft to start us off. Find out how to make it from Papelisimo! B is for BAT – Toilet Paper Bat Pinata – quick an easy, make it as a “Bat” or as Pinata.. both easy and fun! C is for CAMEL – Camel Toilet Paper Roll Craft – we actually made this Camel for 3 Kings Day! 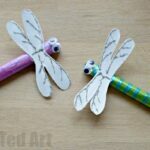 D is for DRAGONFLY – Toilet Paper Roll Dragonflies – I do love how these are made! E is for Elephant – Toilet Paper Roll Elephant. So cute! 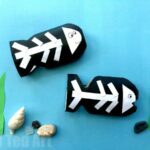 F is for FROG –Toilet Paper Roll Frogs – these are so fun! I is for Iguana – Teach Beside Me has a great Toilet Paper Roll Iguana as part of their Rainforest study section. J is for Jelly Fish – well officially, these go by “octopusses”.. but really, I think they make perfect jelly fish too – so fun cute and easy! Visit Kids Activities Blog for full info! L is for LEOPARD part of this Toilet Paper Roll Zoo post has a wonderful Leopard! M is for MONKEY – well it HAS to be M for Monkey.. doesn’t it? And Frugal Fun for Boys has a great Toilet Paper Roll Monkey for you to make! P is for PIG – Toilet Paper Three Little Pigs (my daughter was a little outraged that her “name sake” was a Pig.. she kindly requests that you all make a Penguin or Parrot instead… do take a peak at the photo above – which features said penguin and parrot!! It is one of the photos produced for my book! And the Parrot is on the front cover too!) – or if you don’t want to be distracted by wovles and origami houses, we share the Toilet Paper Roll Pigs here again. Q is for Quail – now this of course is a tricky one, but Creatively Crafting made a Q for Quail Toilet Paper Roll Craft! Hooray! R is for REINDEER – another “blast from the past” and one we made fro Christmas.. this Twiggy Toilet Paper Roll Reindeer is just fab! S is for SNAKE – Toilet Paper Roll Snake – made many moons ago, these are so fun and easy. 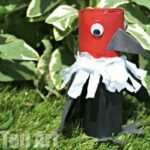 V is for VULTURE – check out how to make a CUTE and easy Toilet Paper Roll Vulture! W is for WOLF – Part of our Toilet Paper Three Little Pigs also has a fabulous Wolf! I think you will enjoy him! 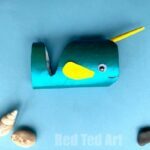 X is for X-Ray Fish – well it is a super easy peasy Toilet Paper Roll X-Ray Fish for the kids to make… however, my son did ask “why are we making a dead fish”…. oops. Made me laugh though! Y is for YAK – Toilet Paper Roll Yak – this cute would also make a fantastic Highland Cow! Z is for ZEBRA – well Zebra is the “obvious” Z animal.. I know we have had a unicorn and a horse above.. BUT this Toilet Roll Zebra is made differently, so I think you will still enjoy it! Check it out over on the Patchwork Parent! Who is this Animal Alphabet for? So what do you think? I think these make a great set of alphabet crafts for 3 year olds or alphabet art projects for kindergarten! 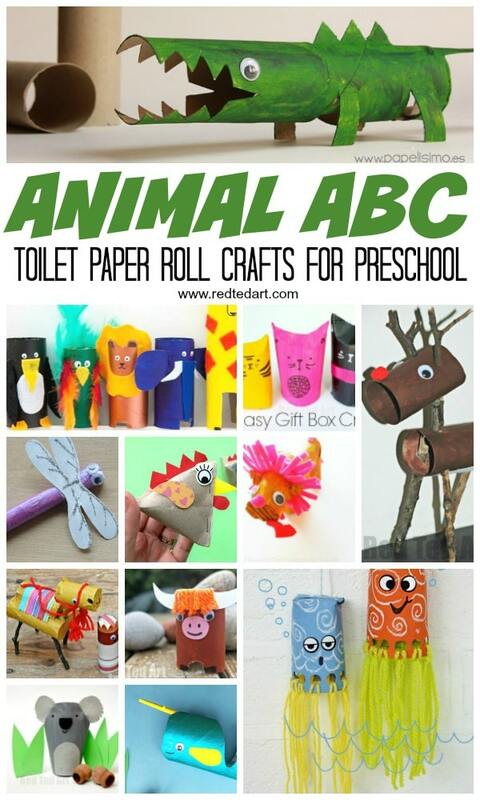 Though having said that, I think older kids would enjoy any of these wonderful Toilet Paper Roll Animals too! 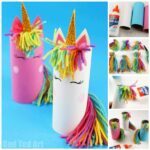 What supplies do you need to craft with Toilet Paper Rolls? 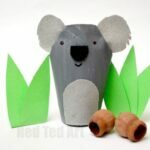 The majority of our crafts use recycled materials and materials from “around the house”.. in essence toilet paper rolls supplmented with basic craft items such as paint, scissors and glue will do the trick. You can often replace the paint with paper and “wrap” the toilet paper rolls” in plain colours to avoid paint (though the kids will LOVE the paint!!). Awww so happy to hear it!!! !